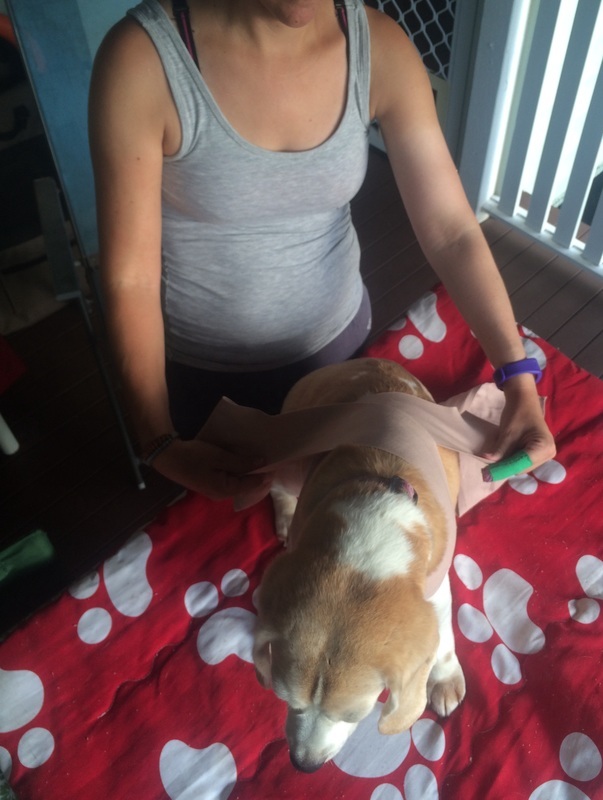 I use TTouch wraps often - in the vet clinic, in class and with my own critters. They are great for Arthur in thunderstorms as they are cooler than a ThunderShirt and he doesn't fry. Tellington Touch is a method that has been studied and is used to reduce stress in animals. It creates relaxation and can also enable them to learn more efficiently. Tellington Touch is named after Linda Tellington-Jones. The Tellington Touch method is based on Feldenkeais – which is a similar technique used in humans. Tellington Touch consists of specific kinds of touches, ground work and body wraps. 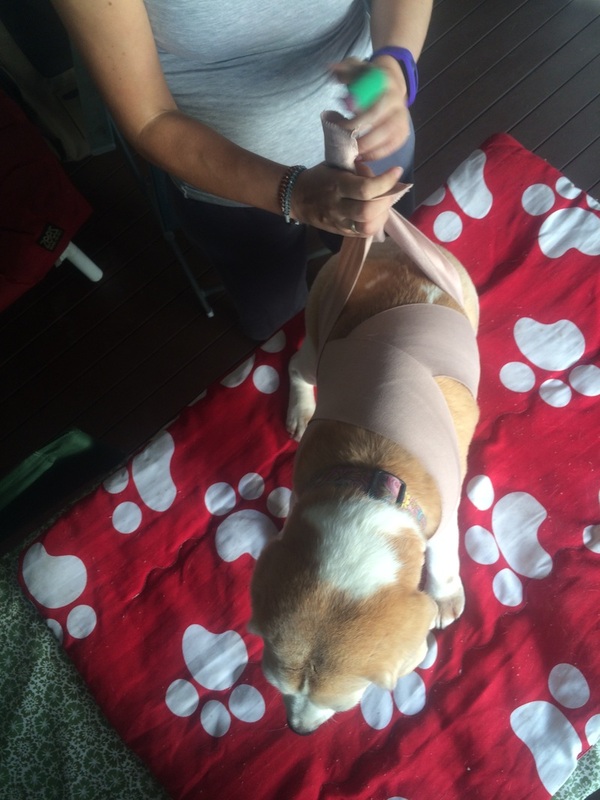 A body wrap as described below is similar in function to the well known ThunderShirt. Body wraps are non-invasive and should not be restricting. The wrap feels to the dog as if someone gently placed a comforting arm around your shoulder. 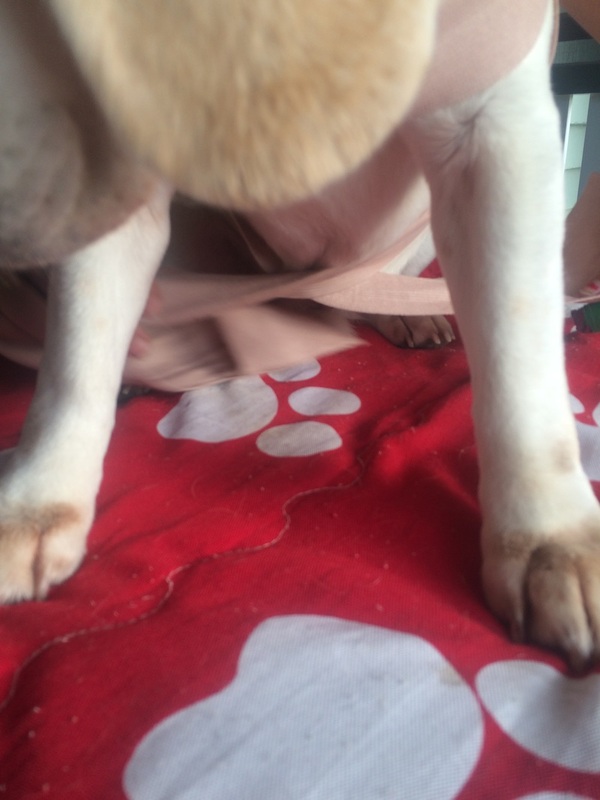 A stretchy bandage (ACE compression bandages) of appropriate length and width (this will vary from animal to animal – 5cm for small dogs and cats, 7.5 to 10 cm for larger dogs). A willing subject or a stuffed toy to practice on. If using for storms etc – I also spray the wrap with ADAPTIL (15 mins prior to application). 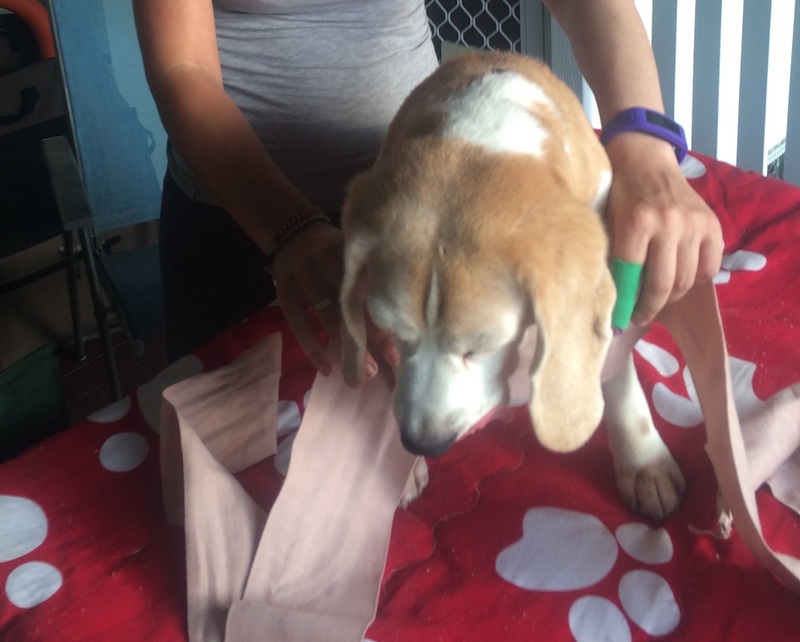 When applying the bandage it can be a fine line for pressure – it needs to be at a level where it is secure and will not slide, but not so tight that the animal will feel restricted. Find the centre of your wrap and place this across the front on the animal’s chest. Bring the ends up and tie/Velcro/safety pin across the back. Do not leave wraps on your pet when they are unattended. For more information consult a Tellington Touch practitioner. Ros from Pawsitive Connection is a Brisbane based TTouch practitioner. Hood, R. and Pretty, M. (2011). All Wrapped UP (For Pets). Canada: Tellington TTouch Training, pp.5,6,9. Veterinary and Biomedical Sciences James Cook University, pp.1-4. Zurr, D. (2016). Tellington TTouch in the Veterinary Practice. pp.31-32.